At the conclusion of the grand finale of Miss World Guam 2017 held at Sheraton Laguna Guam Resort, Tamuning, Destiny Cruz was crowned as Miss World Guam 2017. She will now represent her country in the 67th edition of Miss World to be held on 18th November 2017 in Sanya, China. 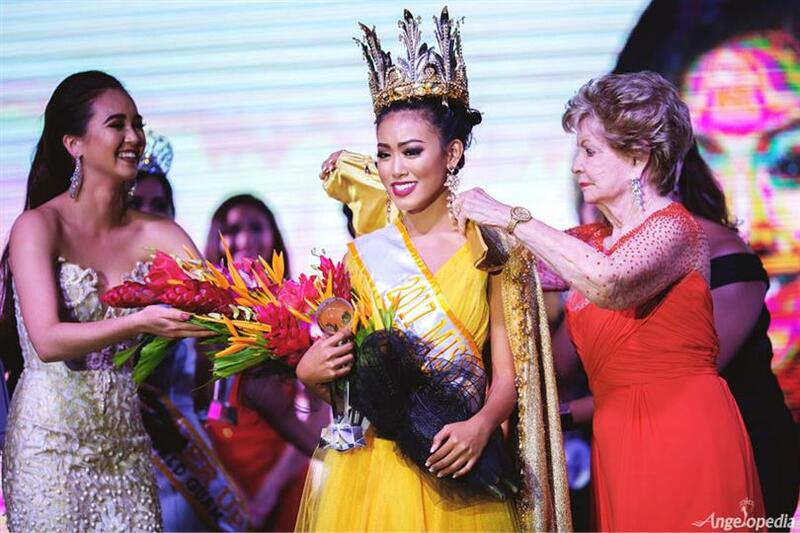 Destiny Cruz succeeded and was crowned by Miss World Guam 2016 Phoebe Denight Palisoc. At the same event, Annania Nauta from Santa Rita, Erin Wong from Agana and Alana Santos from Barrigada were declared as first, second and third runners-up respectively. Destiny is 19 years of age and hails from the village of Inarajan. She bested ten other contestants to clinch the coveted title of Miss World Guam 2017 after competing in the evening gown, swimsuit and interview portions of the pageant. The franchise owner of Miss World Guam Del Madeleine Bordallo congratulated Destiny and gave her the lovely wishes. Guam has won the title of Miss World in the year 1980 through Kimberly Santos. Do you think Destiny will be able to win the crown for her country after 37 years?